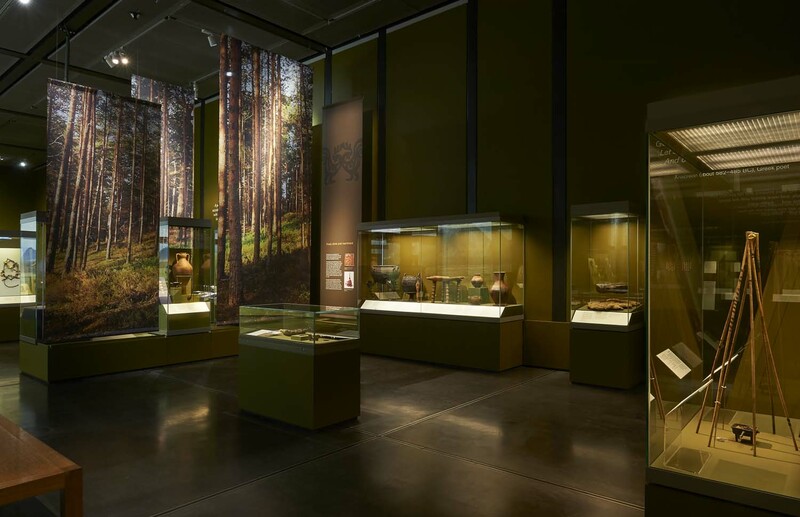 Historian and author Tom Holland explains why the Museum's latest exhibition is a revelation, bringing the Scythians alive from the pages of Herodotus. Anonymous print of a portrait bust of Herodotus with a Greek inscription. Stipple on chine colle, c. 1800-1825. High on most people’s list of the lessons taught by history would be the inadvisability of invading Russia. Napoleon’s Grande Armée and Hitler’s Operation Barbarossa both famously serve as warnings of what can go wrong. The vastness of the steppes, the refusal of the enemy to meet in pitched battle, the savagery of the winters – all have regularly combined to frustrate the ambitions of even the mightiest empires. In ancient times, before the building of settlements in what are now Ukraine and Russia, the challenges that faced any would-be conqueror were even more severe. We have no cities – nothing that we need worry you might capture. We have no crops – nothing that we need worry you might destroy. Why, then, should we be in any rush to fight with you? These words were supposedly spoken two-and-a-half thousand years ago by the king of a people named the Scythians, the nomadic lords of a vast swathe of territories that stretched from Central Asia to Eastern Europe. His defiance was flung in the teeth of the most powerful man on the face of the planet: Darius, the Great King of Persia. 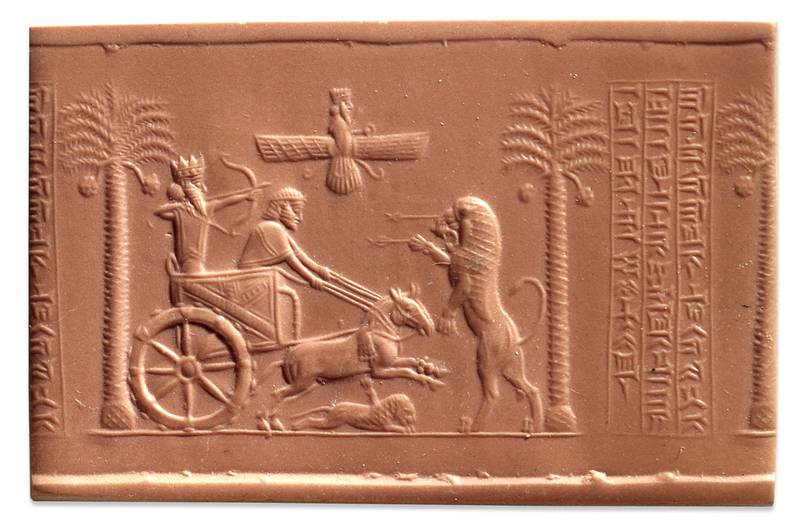 Impression of the Darius seal cylinder seal showing Darius I. Found in Egypt, 6th–5th century BC. Military adventures had long been a specialisation of the Persians. For decades, victory – rapid, spectacular victory – had appeared their birthright. Their aura of invincibility reflected the unprecedented scale and speed of their conquests. Once, they had been nothing, just an obscure mountain tribe confined to the plains and mountains of what is now southern Iran. Then, in the space of a single generation, they had swept across the Middle East, shattering ancient kingdoms, storming famous cities, amassing the largest empire that the world had ever seen. A man such as Darius was not lightly defied. The landscape of southern Siberia that Darius would have faced. 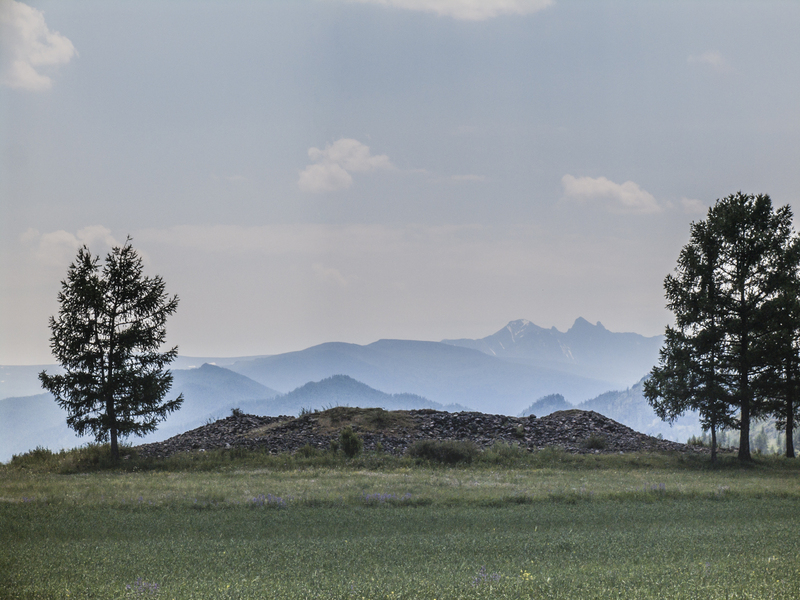 This photo includes a Scythian burial mound. © The State Hermitage Museum, St Petersburg, 2017. Photo: V Terebenin. Unsurprisingly, then, in the face of Scythian intransigence, he had decided to take the offensive. In 513 BC, Darius crossed the Bosphorus at the head of a vast army, bridged the Danube, and struck deep into what is now southern Russia. He did so not merely to uphold Persian interests, but in defence – as he saw it – of the moral balance of the universe. Truth, the principle of light and order which animated the entire cosmos, was always under threat. The spreading filth of the Lie, were Darius not there to stem and purge it, risked splashing the radiance of all that was good with the poison of its sewage. Accordingly, then, alerted to the fractious character of the the Scythians, he had recognised in their savagery something ominous: a susceptibility to the seductions of demons. ‘They were vulnerable, these Scythians, to the Lie’ – and so Darius, ever the dutiful servant of the Truth, had felt himself called upon to pacify them. 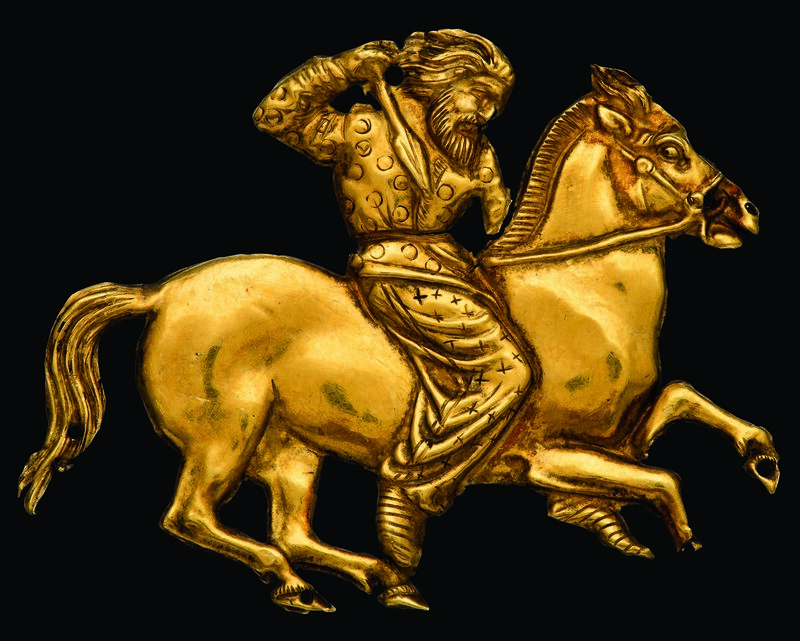 Gold plaque of a mounted Scythian, in the words of Darius, possibly ‘vulnerable to the Lie’. Black Sea region, c. 400–350 BC. © The State Hermitage Museum, St Petersburg, 2017. Photo: V Terebenin. In the event, he failed. Darius’ expedition did not suffer the humiliating rate of attrition endured millennia later by those of Napoleon or Hitler, but it did meet with stalemate. Although the Persians destroyed whatever of Scythian settlements and crops they could, they were unable to annex any territory, and ultimately, as winter drew in, found themselves with no choice but to withdraw. Darius himself, unsurprisingly, drew a veil over the whole business. The details of his expedition went unmentioned in any of his inscriptions. Forts that he had built deep within Scythian territory were abandoned. As the expedition passed out of living memory, it might very well have ended up forgotten altogether. 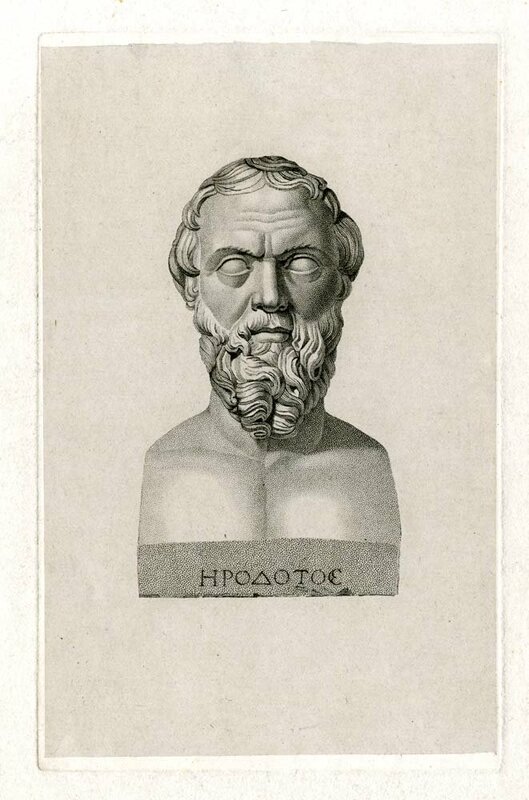 Anonymous print of a portrait bust of Herodotus with a Greek inscription. Stipple on chine collé, c. 1800–1825. That it did not was due to a Greek who, some eight or so decades after Darius’ invasion of Scythia, wrote about it as part of his ‘researches’ – his ‘historia’ – into the wars between the Greeks and the Persians. Herodotus, when he put words into the mouth of the King of the Scythians, or imagined himself in the mind of Darius, was not relying on authentic testimony – but what he could find out about the Scythians, he did. The result was indeed, just as Herodotus had hoped that it would be, a supreme work of enquiry – not merely the world’s first work of history, but its first work of ethnography as well. It is thanks to Herodotus that a people who wrote no history themselves were enshrined in the memory of more settled people, and it is thanks to Herodotus that the efforts of archaeologists to redeem the Scythians from oblivion could to be cross-referenced with the writings of a man contemporary with them. As a translator of the Histories, I always found that the Scythians lived most vividly for me in its pages. In my efforts to understand what they might truly have been like, I felt like Darius, in pursuit of a quarry that seemed destined forever to evade my clutches. That is why the British Museum’s exhibition has proven such a revelation – and so moving. At long last, I have seen the gold, and the clothes, and the horse fittings, and the tattoos, and the very nail clippings of a people I had always thought would exist for me only on the pages of Herodotus. Unlike Darius, I have got to grips with the Scythians at last. The BP exhibition Scythians: warriors of ancient Siberia is on until 14 January 2018.